With Thanksgiving fast approaching, some of us have an awful lot to be thankful for. Those annoying political ads leading up to Election Day, after all, are over and laid to rest. Russian President Vladimir Putin having attended the G20 Summit in Brisbane, Australia and feeling the cold shoulder from foreign diplomats is thankful for miraculously escaping without having his food poisoned. Wedding planners from coast-to-coast are grateful most of all this year, now that legislatures and voters in 35 states -and the District of Columbia have legalized gay marriage. I understand business is booming. I'm thankful it's only 93 days before spring training begins for Major League Baseball. I'm also thankful for having 404 Facebook friends. Make that 403, sadly, someone just unfriended me. So as we inch closer to our national holiday, I thought sooner rather than later, would be an ideal time to share some historic background and relevant statistics about Thanksgiving should you be searching for such information in the coming days ahead. • In the autumn of 1621, 51 Pilgrims and 90 Indians in the colony of Plymouth held the day harvest feast in what would become the first Thanksgiving. • The first recorded formal proclamation of Thanksgiving was in Charleston, Mass. in 1676. • The first Thanksgiving consisted of boiled eels and venison; ducks and other waterfowl, clams and mussels, corn bread, leeks, plums, and sweet wine made from the native grapes. • Historical records show that In America, Thanksgiving feasts occurred in settlements in what is now Texas, Florida, Maine, and Virginia prior to the celebration in Plymouth. • It took 320 years after the Pilgrims held the first Thanksgiving before it achieved full legal status. • On October 3, 1789, following Congress's recommendation, President George Washington issued a proclamation naming Thursday, November 26, 1789 as a day of public thanksgiving, the first time Thanksgiving was celebrated under the new Constitution. • Beginning in 1846, Sara Joseph Hale, editor of Godey's Magazine published editorials, encouraging governors of states and territories to make Thanksgiving a legal holiday. • October 3, 1863: President Lincoln declared the last Thursday in November to be regularly commemorated as Thanksgiving Day. His Thanksgiving holiday proclamation implored the "Almighty Hand to heal the wounds of the nation," and to restore "peace, harmony, tranquility and Union." 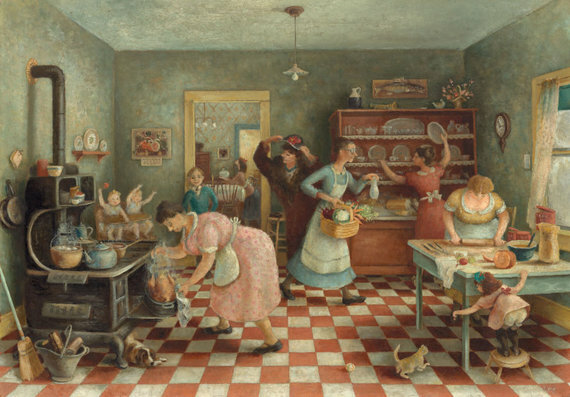 • Prior to Abraham Lincoln's proclamation in 1863, three presidents, George Washington, John Adams, and James Madison, issued informal proclamations of a national day of Thanksgiving, while President Thomas Jefferson, who considered Thanksgiving purely a religious celebration, reasoned that the U.S. government was in no position to involve itself with the day since the U.S. Constitution specifically prohibits any connection between church and state. • The tradition of "pardoning" White House turkeys has been traced to President Abraham Lincoln's clemency to a turkey recorded in an 1865 dispatch by White House reporter Noah Brooks who noted, "About a year before, a live turkey had been brought home for the Christmas dinner, but [Lincoln's son Tad] interceded in behalf of its life. . . . [Tad's] plea was admitted and the turkey's life spared." • Prior to Thanksgiving being declared a national holiday, there were only two national holidays: Washington's Birthday (February 22), and Independence Day (July 4). • As late as the 1880's, The Catholic Church didn't recognize Thanksgiving as a holiday, reasoning it was strictly a Protestant rite. • William DeLoss Love, a Congregationalist minister and member of the Sons of the American Revolution wrote the first history of Thanksgiving in 1895: ``Fast and Thanksgiving Days of New England''. • When the Macy's Thanksgiving Day parade began in 1924, many consider this the beginning of the official commercialization of the holiday. • November 23, 1927: President Calvin Coolidge delivered his Thanksgiving proclamation over the radio at 8:15 p.m. to a network of stations across the country before an evening musical program that culminated with Mozart's opera "The Magic Flute." • In the Thanksgiving issue of the Saturday Evening Post for 1931, an advertisement for Camels plugged cigarettes as "something to be thankful for." • Franklin D. Roosevelt in 1939 changed the date of Thanksgiving to the third Thursday in November to lengthen the Christmas shopping season; only to revert back to the fourth Thursday in November two years later. • In 1947, the first official National Thanksgiving Turkey was presented to President Harry Truman, who followed President Lincoln's example by pardoning it. Source: WhiteHouse.gov, ``The History of Thanksgiving in the United States'' Journal of Social History (Summer, 1999); ``The First Thanksgiving'' Gastronomical: The Journal of Food and Culture, (Fall 2003); ``A Thanksgiving Tradition'' American History, Nov/Dec95, Vol. 30. 44.8 million consumers who shopped on Thanksgiving Day 2013, up 27 percent from 2012. 92.1 million consumers who shopped on Black Friday in 2013. $407 was the average amount spent by holiday shoppers from Thanksgiving Day to Sunday, down 4 percent from 2012. 4.9 percent portion of holiday shoppers who were at stores by 5 p.m. on Thanksgiving Day. 27 percent portion of consumers who said they shopped online on Thanksgiving Day in 2013. 242 million turkeys were forecasted to be raised in the United States in 2014. That is down 5 percent from the number raised during 2012. 4: Number of places in the United States named after the holiday's traditional main course. Turkey Creek, La., was the most populous in 2013, with 435 residents, followed by Turkey, Texas (410), Turkey, N.C. (291) and Turkey Creek, Ariz. (294). There are also two townships in Pennsylvania with "Turkey" in the name: Upper Turkeyfoot and Lower Turkeyfoot. The Intercollegiate Football Association, an organization maintained by college students, scheduled its first championship game on Thanksgiving Day in 1876. In 1934 on Thanksgiving Day, the Chicago Bears beat the Detroit Lion 19-16 in the first NFL game to be broadcast on national radio, NBC. By 1956, NFL games were televised on Thanksgiving. On November 11, 1962, before a national televised audience, 57,598 fans at Tiger Stadium watched the Lions sack Green Bay Packers quarterback Bart Starr 11 times for a total loss of 110 yards. It was the Packers' only loss of the year. The Dallas Cowboys have played their traditional Thanksgiving Day game since 1966, only missing games in 1975 and 1977. Thanksgiving, November 27, 2014, marks the 80-year anniversary when notorious bank robber and murderer ``Baby Face Nelson'' was involved in a fierce gun battle with FBI agents on November 27, 1934, just outside Chicago in the town of Barrington, resulting in the deaths of Nelson and FBI Special Agents Herman "Ed" Hollis and Samuel P. Cowley. According to the Criminal Justice Information System (CJIS), in 2013 on Black Friday, the day after Thanksgiving (Friday, November 29th), there were 144,758 firearm background checks conducted by the National Instant Criminal Background Check System (NCIS) at the request of Federal Firearms Licensees for prospective buyers of firearms and explosives, considered one of the busiest days for purchasing guns. In 2013, according to the U.S. Department of Agriculture (USDA), 21 million turkeys were consumed during Thanksgiving. Of these, 17 million were purchased in frozen form, 3.7 million as fresh, and 200,000 as smoked. According to the National Restaurant Association, in 2013 (the most recent data available), 46 million Americans were expected to dine out while shopping on Thanksgiving Day or Black Friday, while 33 million Americans typically rely on restaurants for all or parts of their Thanksgiving meals. According to Feeding America, 46 million Americans live at risk of hunger, or face hunger. Feeding America serve more than 5 million people a week through a vast network of food pantries, soup kitchens, shelters, half - way houses nationwide. According to the National Highway Traffic Safety Administration (NHTSA), in 2012 (the most recent data available) 416 motorists died in traffic crashes during the Thanksgiving Holiday weekend; 60 percent of the passenger vehicle occupants killed were not wearing seat belts and 42 percent were killed in crashes that involved a drunk driver who had a blood alcohol content of .08 BAC or higher. For each year between 2009 and 2011 (the latest figures available from the United States Fire Administration (USFA)), an estimated 1,900 residential building fires were reported to fire departments in the United States on Thanksgiving Day, causing an estimated five deaths, 25 injuries and $28 million in property loss. Thanksgiving is the leading day for home fires involving cooking equipment, with three times the average number. Airlines for America (A4A), the industry trade organization for the leading U.S. airlines, projects that 24.6 million passengers will travel globally on U.S. airlines during the 12-day Thanksgiving travel period (Friday November 21 through December 2), a 1.5 percent increase from 2013. 10 percent of passengers will be traveling internationally. According A4A, Sunday, November 30th will be the most heavily traveled day, while Thanksgiving , November 27th, the least traveled day. The busiest airports during the Thanksgiving weekend will be Hartsfield-Jackson Atlanta International Airport followed by LAX (Los Angeles) and Chicago's O'Hare International Airport. AAA Travel projects 46.3 million Americans will journey 50 miles or more from home during the Thanksgiving weekend, the highest volume for the holiday since 2007 and a 4.2 percent increase over 2013. The 88th Annual Macy's Thanksgiving Day Parade® will hit the streets of New York City on Thursday, November 27th at 9:00 AM, with more than 8,000 participants. The parade is typically seen by 3 million spectators, while generating a nationwide television audience of more than 50 million viewers. The 2014 Macy's Thanksgiving Day Parade features 16 giant character balloons; 33 novelty, balloonicles balloonheads, and trycaloons; 27 floats; 12 marching bands, 1,300 cheerleaders/dancers; and 1000 clowns. Six new giant balloons will debut, the most ever in any year. New balloons include Paddington™, Pikachu™ , Pillsbury Doughboy® , Red Mighty Morphin Power Ranger, Skylanders® Eruptor and Thomas the Tank Engine®. The first Parade in 1924 was called "Macy's Christmas Parade" although it took place on Thanksgiving Day. It was later renamed the Macy's Thanksgiving Day Parade. NBC began televising the Thanksgiving Parade in 1948. The original Parade route took the march from at 145th Street and Convent Avenue, 5.5-miles down to 34th Street and Herald Square. Macy's Thanksgiving Day Parade was canceled in 1942, 1943 and 1944 due to World War II.